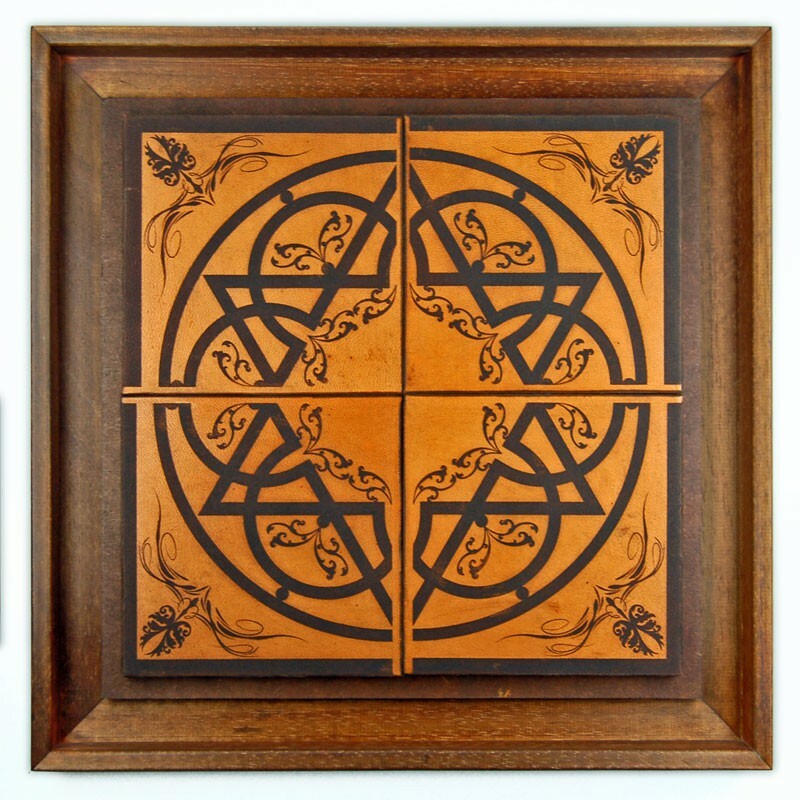 This piece combines the figure of the Star of David with decorative elements. 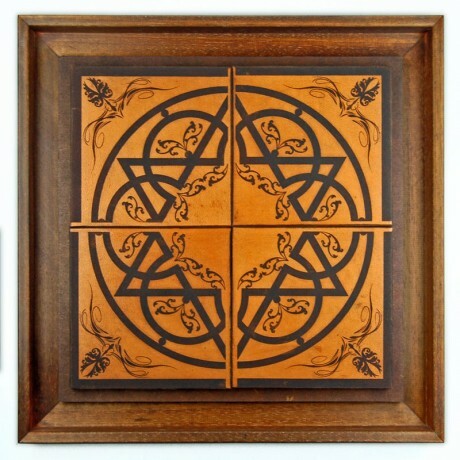 It is made up of four pieces of leather mounted on wood and engraved with a laser to produce a pyroengraved effect. Price 69,70 € tax incl.